I will say it loud, I am not a fan of wearing super sparkly diamond centers. There, it’s out. I love them as side stones or accent stones. I love them on my friends’ fingers…but this girl likes a more subtle shine. 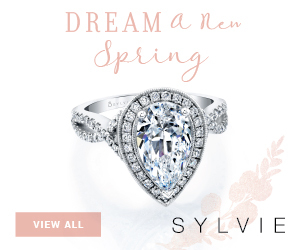 Lucky me and anyone else who feels the same way, designers this season are introducing more and more engagement rings with rose cut diamond centers. It was a popular diamond cut from the 1500s to the beginning of the 1900s. 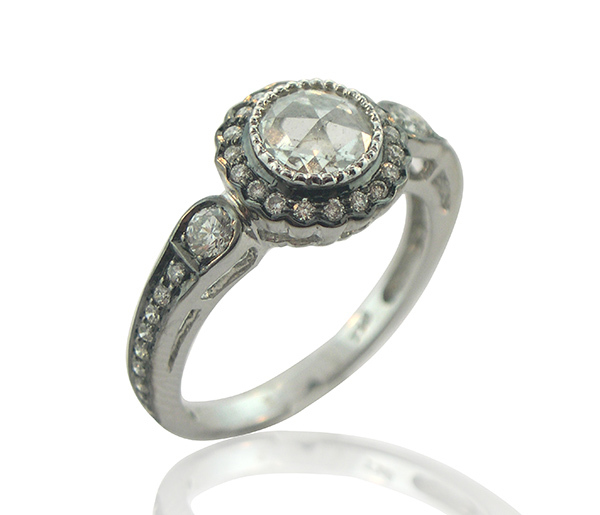 You can still find a great selection of antique engagement rings featuring rose cut diamonds. They fell out of style during the 20th century when new cuts, including the very popular brilliant cut, were created. The rose cut is flat at the bottom with triangular facets on top. It is a great way to get a larger center as rose cuts are wider on top for the same carat weight in comparison to a brilliant cut. I just discovered Sethi Couture. 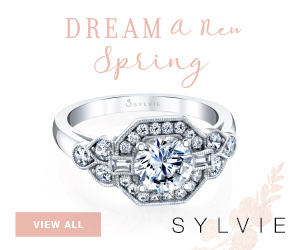 This designer brand is helmed by two sisters and their signature engagement ring style features a rose cut center. It comes in many metal and gemstone color combinations, my favorite is this one with blackened gold. Brilliant Earth, the brand with the widest selection of eco-conscious engagement rings, just introduced a new collection of rings featuring rose cut centers. 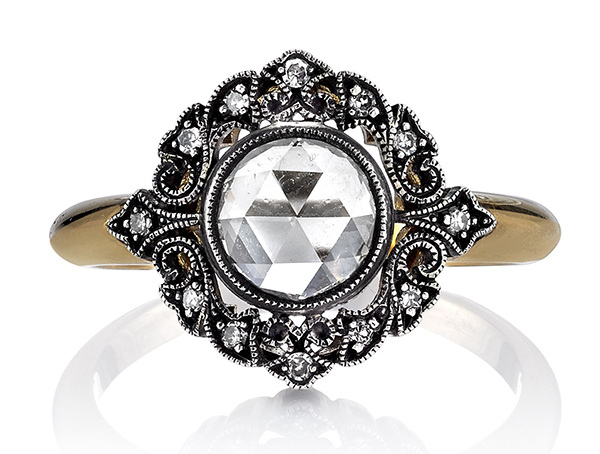 Here is my favorite, a Victorian ring with a grey rose cut diamond center surrounded by a halo of white rose cut diamonds. I like the combination of yellow and white gold. Why should you consider picking a two-tone ring? It will look different depending on the colors of the clothes you wear, which is fun! Here we have another two-tone engagement ring mixing yellow gold and silver. I love the Victorian vibe of the halo with milgrain details. 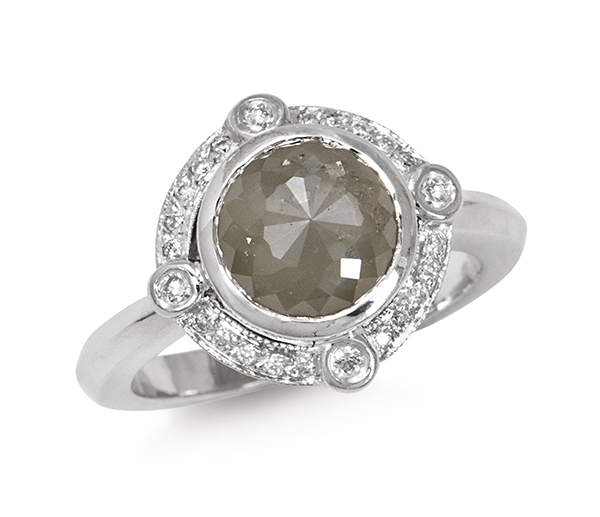 This ring and many other vintage rose cut options can be found on Single Stone‘s website or at one of their retailers. 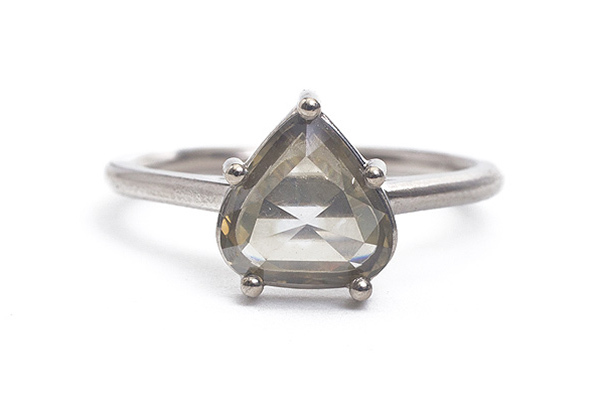 How pretty is this grey diamond Just Jules engagement ring? I like the opacity of the main stone and its unique shade. 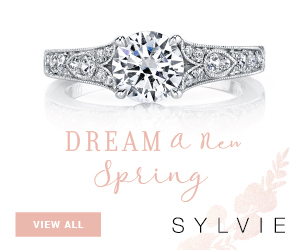 It really looks lovely set in a vintage inspired halo of white diamonds. 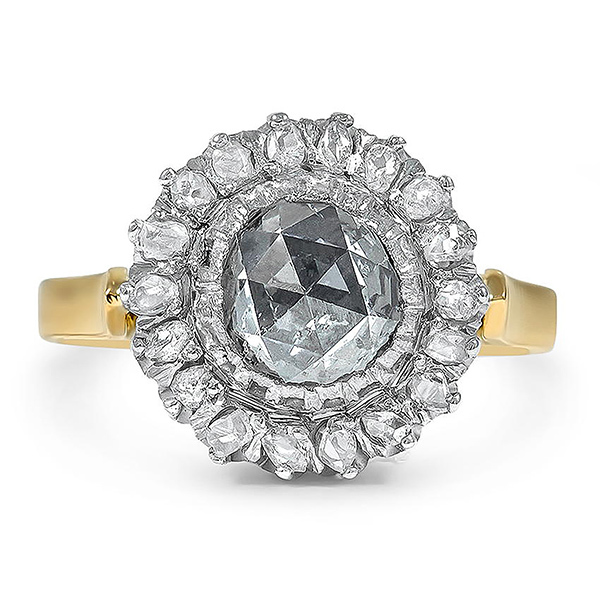 Picking a rose cut diamond center doesn’t systematically mean you need to get a vintage inspired setting. 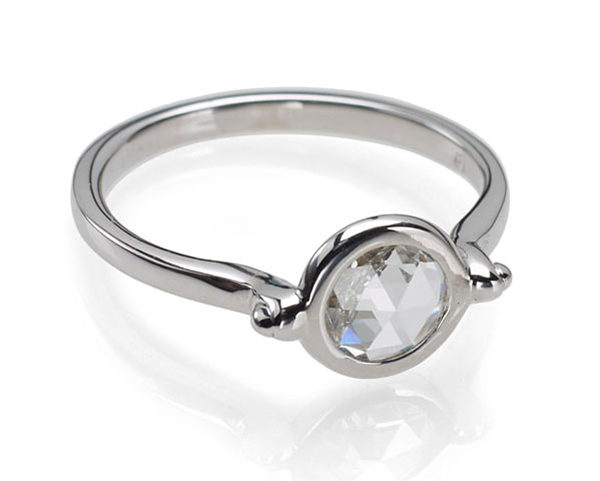 Check out this romantic yet sleek, modern and fresh engagement ring by Catherine Angiel. Tura Sugden is another just recently discovered designer. She is based out of San Francisco and you can purchase her jewelry online and at selected retailers. For this engagement ring, she used palladium for the setting and a green-grey rose cut diamond with an open back. The latter allows the light to shine through and thus slightly change the color hues depending on the weather and light conditions. 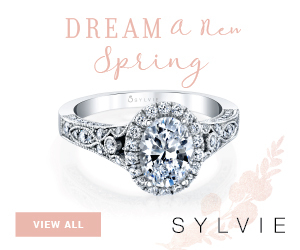 It’s always very exciting to be able to see your engagement ring different ways. I love that she was inspired by Sencha tea and Cerignola olives when designing this ring.